Ever encounter slow copying of large size data in Windows and copying process suddenly quit due to long file name? With TeraCopy, it can solve your problem. 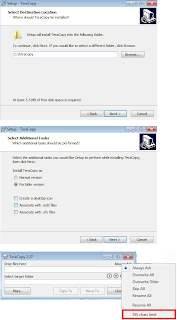 Download TeraCopy v2.27 and install it as a portable version.